The CM400PE is a high performance, high strength, premium grade, solvent free, pure epoxy based chemical. Chemical injection anchoring system is usedfor heavy duty structural applications. 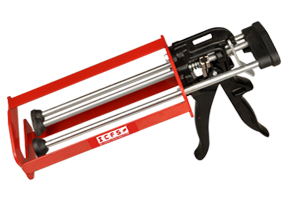 The dual cartridge format comprises of a resin and hardening agent in separate external compartments which are mixed to the correct proportions in the delivery nozzle when triggered using the required manual dispenser. It's non shrink, non sag and extended cure time formula makes this resin the ideal choice for large diameter, deep and oversized drill holes with variable embedment depths and also suitable for underwater use and in submerged drill holes. 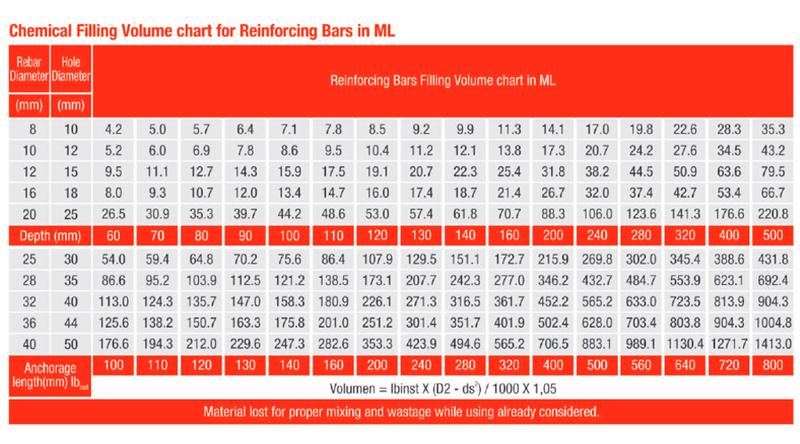 Recommended for use in reinforced and non-reinforced concrete, rock and stone. 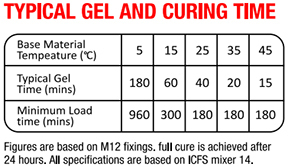 • Premium grade resin for application requiring high ltd values. • One of the strongest injection systems especially suitable for big diameters rebar and rods. and wet bore holes - can be used in all weather conditions. • Low sensitivity to oversized, wet holes due to negligible shrinkage and adhesive property thus less risk of installation failure. • Long gel time, enough time for aliging work and installation of big diameters at deep embedment. • Easy setting in a wide range of temperature and long working time even at elevated temperature. • Dispensing system reduces the possibility of contact making it safer to use. • Solvent free low odor recipe for convenient working also indoors. • Vibration resistant. Corrosion resistant. • Very high chemical resistance. 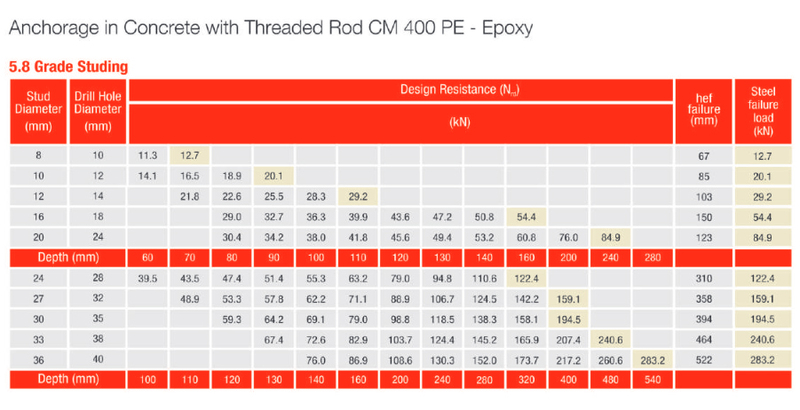 As a pure epoxy resin, CM400PE offers excellent adhesion to both steel and concrete and has highest load values of all our systems, it is primarily designed for heavy duty bonding of rebar, starter bars and dowels, anchor studs, bolts, threaded bars and sockets.